The Flying Aces entertainment programs are fun, exciting, interesting, educational and sometimes funny, but even with all that to offer, we know that they just can't meet everybody's needs. So if we're not exactly what you're looking for, we still want to help you find entertainment for your event. Below is a list of other entertainers that meet our high standards for quality, value and family friendliness. Truly Remarkable Loon – A "Merry Anticipation of Disaster"
Decidio – Planning a party or event? This Directory will help you find everything! Mark Hayward – An amusing combination of comedy, yo–yos, spin tops, juggling clubs and torches. A New Leash on Life – Dog rescue organization in suburban Detroit. DogHeart – Dog behavior expert & trainer in the Ann Arbor area. 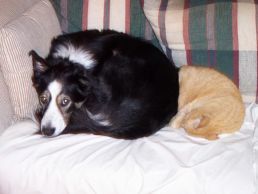 Loving Family Pet Care – Pet Sitting/Daycare/Boarding, Dog Walking & Training in Genesee County. The Pet Emporium – Natural pet supplies & dog park. Positive Way Dog Training – Trainer who uses only positive reinforcement in Belleville, MI. Premier Dog Training, LLC – certified professional dog trainer in Washington D.C. area. The USDA Food Pyramid – Steps to a Healthier You! Discovering The World: Disc Golf, Ultimate Frisbee products and services.